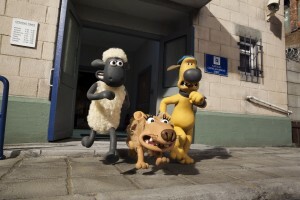 “Shaun the Sheep Movie,” an animated adventure for the whole family, arrives in a Blu-ray Combo Pack (plus Digital HD) and DVD (plus Digital) on Tuesday, Nov. 24 from Lionsgate Home Entertainment. 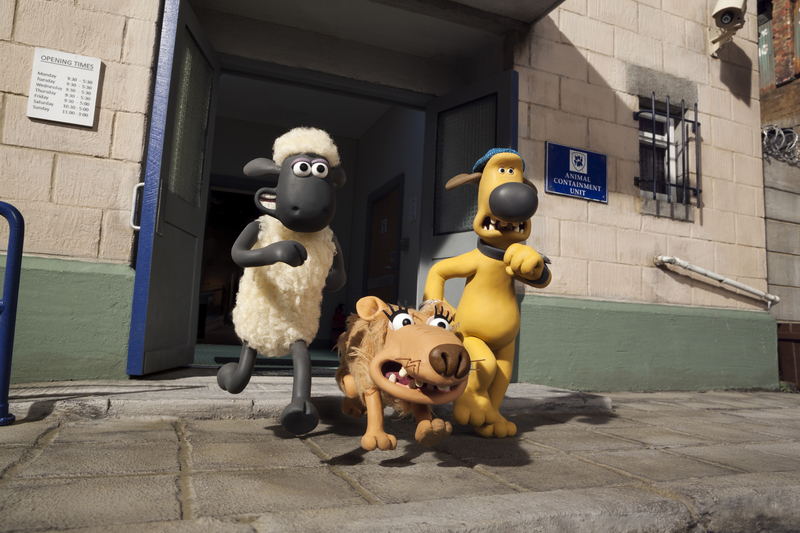 Released in theaters over the summer, the Aardman-produced feature is also available on Digital HD. Shaun is a little sheep with big dreams, and lately, life on Mossy Bottom Farm has become a bit dull. When Shaun takes the day off for some fun in the Big City, he gets a lot more action than he bargained for. Now Shaun and his flock must use their wits to hatch a plan to get back home. Directed by Mark Burton and Richard Starzak, who also co-wrote the screenplay based on Nick Park’s characters and the popular British TV series, the animated comedy features the voices of Justin Fletcher, John Sparkes, Omid Djalili and Richard Webber. The home entertainment release comes loaded with bonus features including a behind-the-scenes look at the making of the animated feature as well as interviews with the cast and crew. The Blu-ray Combo Pack (plus Digital) and DVD (plus Digital) will be available for $34.99 and $29.95, respectively. Joey Bragg (“Liv and Maddie”) and Sean Giambrone (“The Goldbergs”) star in the Disney XD original movie, “Mark & Russell’s Wild Ride,” available on Digital HD and VOD Tuesday, Nov. 24 from MarVista Digital Entertainment. Directed by Jon Rosenbaum (“K.C. Undercover,” “Stuck in the Middle”) and written by David McHugh and Matthew Flanagan (“Late Show with David Letterman”), the family-friendly comedy also stars Chris Gauthier (“Watchmen”), Nicole Munoz (“Defiance”), Tiera Skovbye (“Forever 16”) and Kurt Ostlund (“Mr. Young”). “Mark & Russell’s Wild Ride” follows two best friends Mark (Bragg) and Russell (Giambrone) on an adventure through town after Ashley (Skovbye), the most popular girl in school, asks Mark for a ride to an exclusive pool party. Mark’s excitement comes to a quick halt when he remembers one minor detail—he still hasn’t passed his driver’s test after numerous failed attempts. With pressure mounting, Mark and Russell track down Glenn, a DMV instructor known for his easy testing, but on the day Mark attempts the test, Glenn learns that his wife is leaving him and is too distraught to complete the driving test. Left with no other way to get his driver’s license, Mark and his trusty sidekick Russell embark on a cross-town adventure with Glenn to help him win his wife back. “Mark & Russell’s Wilde Ride” also will be available on Digital HD with Amazon, iTunes, Google Play, Vimeo and Vudu. “Mark & Russell’s Wild Ride” is the second movie to be produced under the MarVista/Two 4 the Money Media co-venture as part of a multi-picture development deal with Disney XD. The first movie, “Pants on Fire,” starring Bradley Steven Perry, Joshua Ballard and Tyrel Jackson Williams, debuted on Disney XD last year. There’s nothing like horror to get you in the mood for the holidays. Arriving on Blu-ray and DVD Tuesday, Nov. 24, is “A Christmas Horror Story,” starring “Star Trek’s” William Shatner. It’s the season of joy, peace, and goodwill unless you live in Bailey Downs. Last Christmas Eve, two teens came to a grisly end in a school basement. Now, one year later, a new set of horrors has come to town. As three friends explore the site of the massacre, a malevolent spirit is determined to keep them there forever. One of the first cops to the scene of the bloody murders has new complications as his 7-year-old son exhibits terrifying and violent behavior. 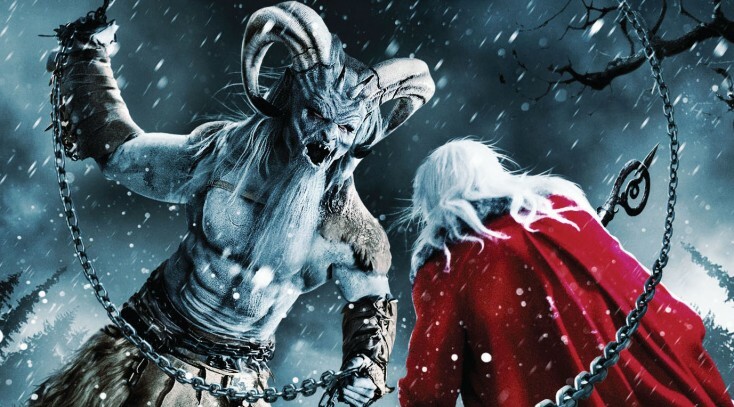 When a local family seeks reconciliation with an estranged aunt for the wrong reasons, they suddenly find themselves running in terror from Krampus, the demonic anti-Santa Claus. Not even St. Nick is immune to the terror as he fights back against a horde of zombie elves. Grant Harvey, Steven Hoban and Brett Sullivan directed the horror flick from a screenplay by James Kee, Sarah Larsen, Doug Taylor and Pascal Trottier. “Empire: The Complex Legacy of Britain’s Imperial History,” a five-episode documentary series from Athena, an RLJ Entertainment brand, is now available on DVD in North America. Based on his book, the series is written and presented by English broadcaster and author Jeremy Paxman (“The Victorians”), “Empire” follows the rise of the British Empire which, at its height, the small island nation ruled over one-quarter of the world’s population. Examining what is often considered a dark stain on British history, “Empire” shows how greed and a lust for power marginalized numerous groups across the empire’s vast expanse, while also challenging viewers to see the empire’s undeniable effect on the modern world. Originally broadcast on U.K.’s BBC in 2012 and co-produced by Open University, the series was filmed on location in former British colonies around the world, including India, Singapore, Kenya, Canada and Jamaica. This 2-disc DVD set is available for $49.99 and at AcornOnline.com. It also is available to watch anytime on the Acorn TV streaming service. The box set includes a 12-page viewers guide with helpful timelines of the expansion of the empire, a map of British colonies and articles on the empire under Queen Victoria, the British Commonwealth and modern multicultural Britain. “Art of the Heist: Inside the Art World’s Biggest Thefts” is available now on DVD from Athena, an RLJ entertainment brand. This 14-episode documentary series investigates the high-profile thefts of some of the world’s greatest pieces of art—from Gustav Klimt’s portrait of Adel Bloch-Bauer to Edvard Munch’s The Scream, da Vinci’s Mona Lisa, and other iconic masterpieces have been coveted by the criminal world. It encompasses the authorities’ efforts to apprehend the crooks and restore the masterpieces to public viewing. Comprised of two complete series (seasons), the thorough documentary was previously broadcast on the Ovation channel in the U.S. The 4-disc DVD set is available for $59.99 and on AcornOnline.com. It also is available to watch anytime on the Acorn TV streaming service. Some of the colorful characters suspected in the thefts include mobster Whitey Bulger, Nazi Hermann Goring and even painter Pablo Picasso. The box set includes a 16-page viewer’s guide with articles about the FBI’s Top 10 list of unsolved art thefts, politically motivated art heists, the discovery of art stolen by the Nazis, the curse of Russia’s long lost Amber Room, the forger’s tool kit and the art of museum security, plus stories of bungled art burglaries.